South Korean car manufacturer Hyundai has revealed images of its upcoming 2016 model of the Elite i20. The model will debut in the country during the Auto Expo in February. The refreshed Elite i20 will come to the roads this year packed with a host of new features like projector headlight, cornering lights amongst others. The latest update to the Elite i20 comes a year and a half after this variant went up for sale in August 2014. The refreshed Hyundai Elite i20 will see updates including LED daytime running lights available as standard on the top-end Asta (O) trim. The top trim will also receive some more love in the form of Audio Visual Navigation (AVN) system as standard and a 7-inch touchscreen display with Bluetooth. The lower end trims will come equipped with LCD displays as before. The refreshed Hyundai Elite i20 will also see itself come with dual airbags as standard across all variants for added safety. 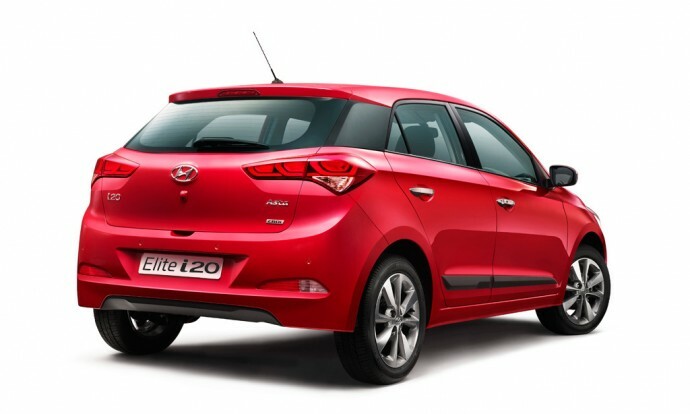 Hyundai has also decided to stick to the engine from the last generation Elite i20. Petrol variants will have a 1.2-litre petrol engine producing 83PS and 115Nm of torque paired with a 5-speed gearbox. Diesel variants will be available with a 1.4-litre CRDi motor churning out 90PS and 220Nm of torque paired to a 6-speed gearbox. In what will disappoint Hyundai’s loyal fan base, the car still isn’t being offered in an automatic transmission variant.